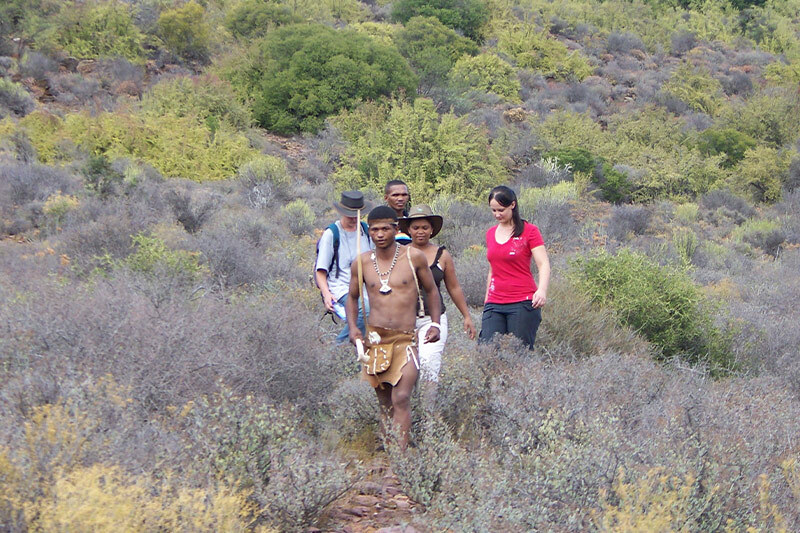 The Chandelier Khoi-san trail gives guests a taste of the way the real, indigenous people of the Klein Karoo lived and survived in the harsh conditions of this semi-desert landscape. 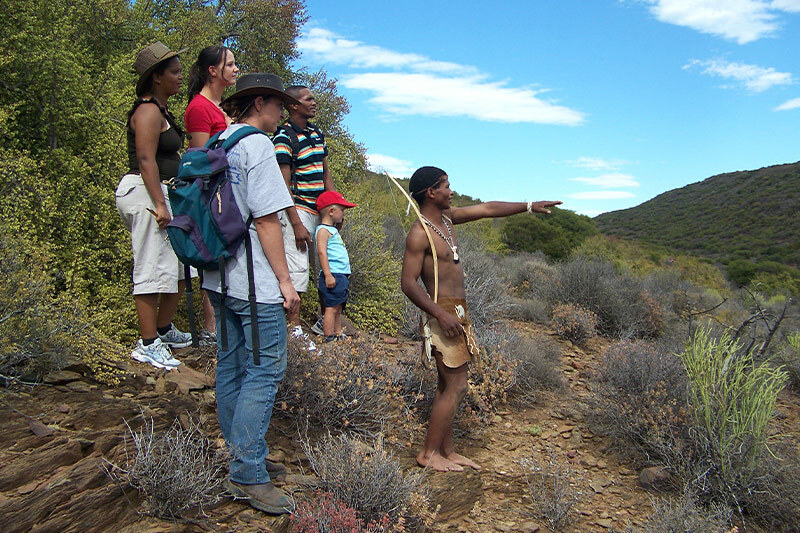 The tour starts with a short game drive in an open game viewer, allowing guests to observe the landscapes of the Khoi-san. 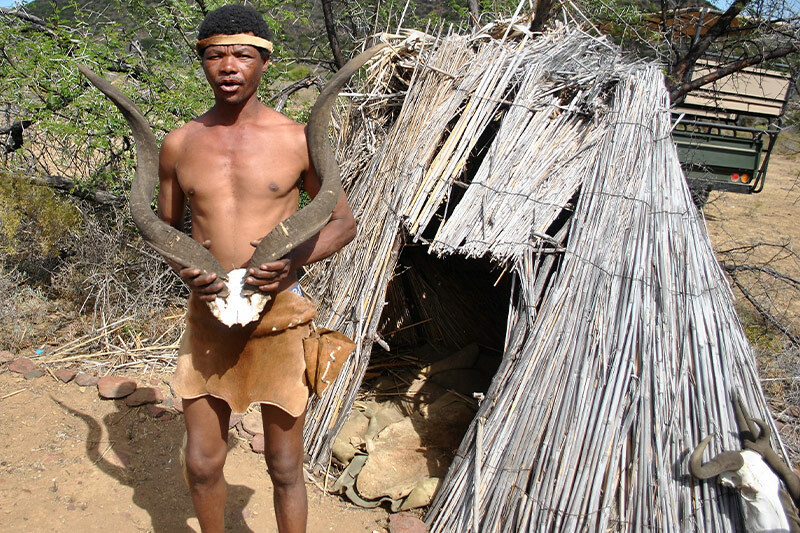 The drive leads to a small, traditional Khoi-San hut. 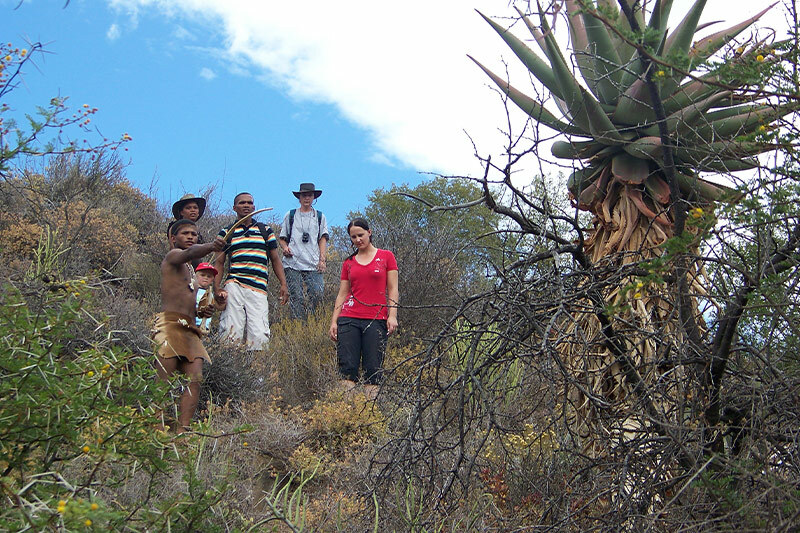 At the hut, guests are introduced to Njoem – Chandelier’s own Khoi-San. 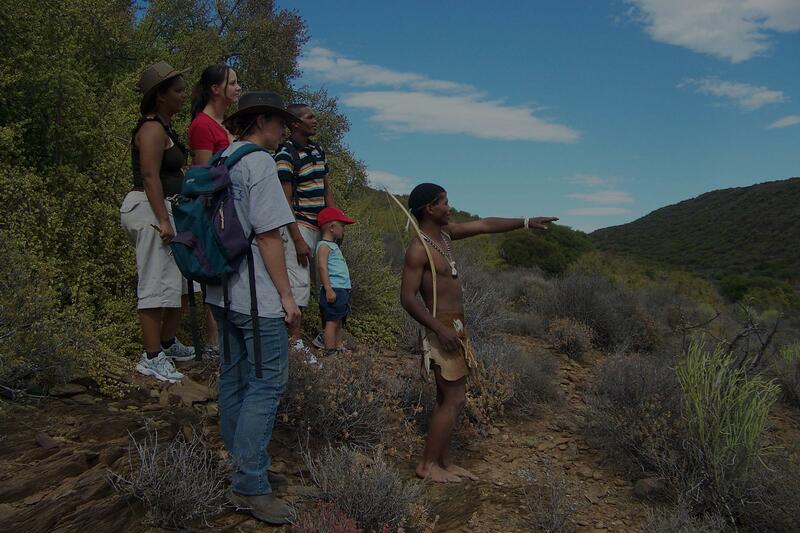 Njoem leads the way in his traditional clothing and explains his traditions and culture to the guests, while one of the Chandelier Game Rangers acts as an interpreter. 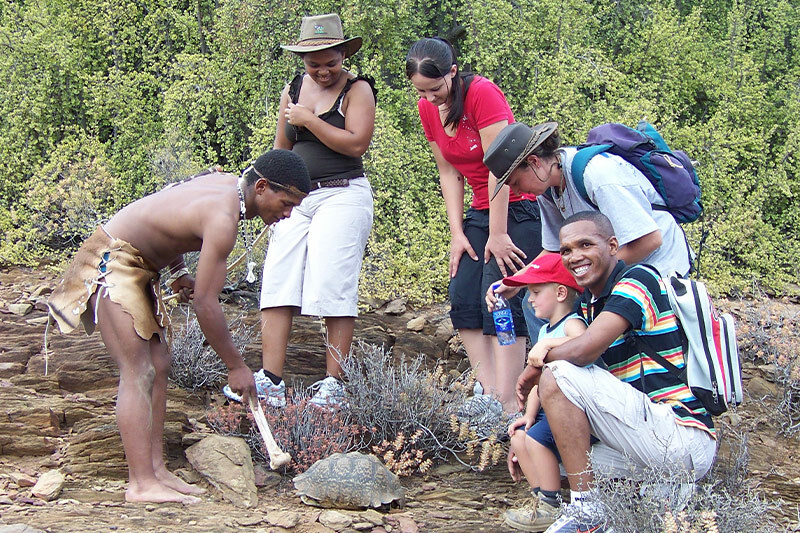 Njoem shares his extensive knowledge of the plants and animals with the guests, while he puts emphasis on the special medicinal value of the plants of the Klein Karoo. 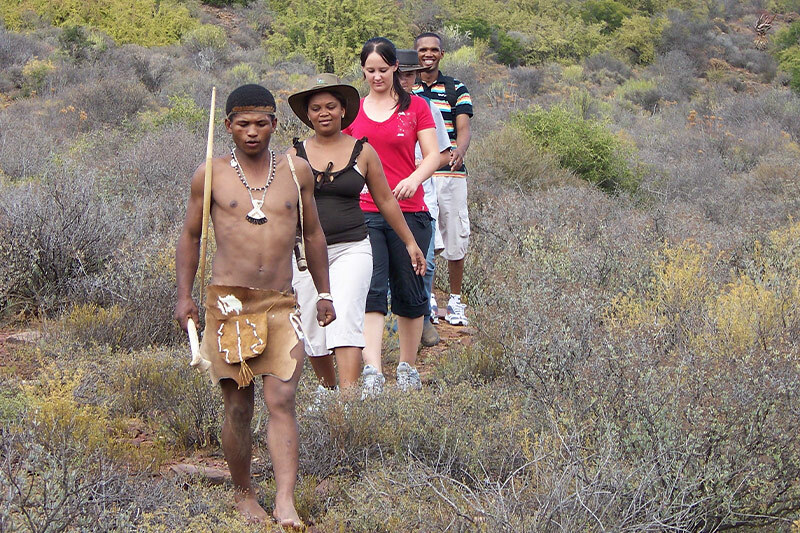 Njoem’s short walk, of less than 1km, takes you past an ant-bear hole and various horns of antelope, which Njoem and his ancestors have been hunting for the past 1 000 years. The informative tour takes about an hour and 15 minutes and is Highly Recommended.